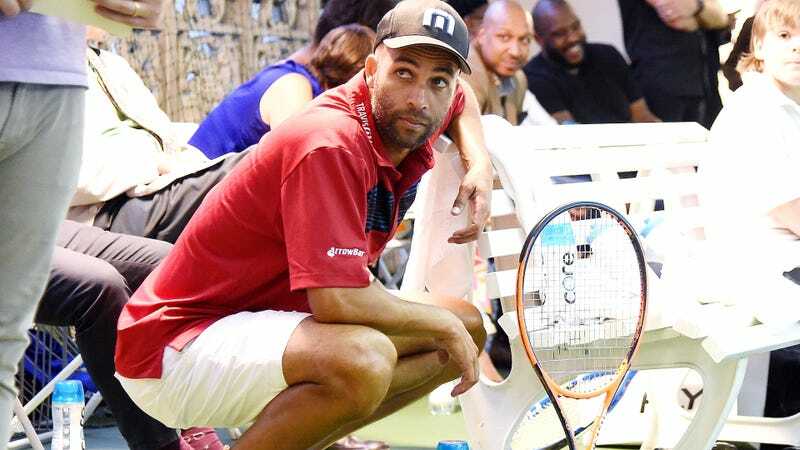 New York City police officer James Frascatore, who wrongfully tackled and arrested former star tennis player James Blake after mistaking him for a suspect in 2015, got off relatively easy: He wasn’t fired, despite a ruling that he used excessive force and having a history of excessive force complaints; instead, a prosecutor recommended that he be docked a few vacation days. Frascatore was eventually offered a plea deal that would have spared him a public disciplinary hearing (he rejected that), and he was saved from potentially appearing at trial when Blake settled with the city on the condition that it create a fellowship to address police officer misconduct. Now, Frascatore is now suing Blake for talking and writing about the incident in his book. He’s also suing the book’s publisher, the city of New York, the New York City Police Department, and others. Despite apologies from Plaintiff and his multiple supervisors, Blake continues to this day to paint Plaintiff as an out of control and corrupt officer who has no business being a member of the NYPD. Due to his celebrity, these statements have had a far greater reach than the complaints of an average New Yorker. Indeed, Defendant Blake has recently embarked on a worldwide press junket to promote his new book, the foreword of which perpetuates his false statements. Throughout that book and his many, many media appearances throughout the world, Blake has libeled, slandered and defamed Plaintiff by perpetrating a false account of Plaintiff’s actions. Being a police officer is a difficult and sometimes thankless task, but also Frascatore fucked up and should apologize unreservedly. Over the two-plus years that have passed, he should have been embarrassed, learned from it, and taken steps to become a better police officer. He should have tried to understand what racial profiling is. He clearly did not do those things, because now he’s filing a lawsuit against the man he humiliated and wrongfully detained.